This document provides key recommendations for implementing an HIV testing program in the oral health care setting. A more detailed guide to implementing HIV testing programs in oral health care settings has been developed by the New York State Department of Health AIDS Institute in collaboration with the New York/New Jersey AIDS Education and Training Center (AETC) Oral Health Regional Resource Center and includes an algorithm that can be used as a planning tool. Additional resources are listed below. HIV testing requirements in New York State: With the dual goals of routinizing HIV testing and ensuring that clinical practice keeps pace with the changing demographics of the epidemic, NYS updated its public health law in 2010 to require that HIV testing be offered to all individuals aged 13 years and older who receive care in hospital or primary care settings. Since then, key provisions were passed in 2010, 2014, 2015, and 2016, and a comprehensive updated version of HIV Testing, Reporting and Confidentiality in New York State regulations was finalized and published in the State Register on May 17, 2017. Among other changes, the requirement for written or oral patient informed consent before ordering an HIV-related test was removed. Accessible and routine testing for individuals over the age of 13 is intended to expand the number of people who know their HIV status and to facilitate entry into the continuum of care or prevention once HIV testing is completed. An estimated 12.8% of HIV-infected individuals in the United States were living with undiagnosed HIV infection in 2012 [CDC 2015]. Routine HIV testing at the point of care is intended to identify more undiagnosed HIV-infected people, provide the benefit of earlier access to treatment, and reduce the risk of HIV transmission. In 2013, 61.7% of adults 18 to 64 years of age visited a dentist [Strauss et al. 2012], highlighting the dental setting as a key opportunity for routine HIV testing. Oral health care settings that can support an HIV testing program should offer testing to all dental patients. Diagnostic HIV tests must be performed in full compliance with the New York State Public Health Law; written consent is no longer required for HIV testing under most circumstances. Oral health care providers should develop referral agreements for timely appointments with medical providers who have experience with HIV treatment, management, and counseling. Screening patients for HIV infection can be performed in oral health care settings. Factors to consider for implementing an HIV testing program include physical space that affords patient confidentiality, laboratory quality assurance, and staff training. HIV testing is voluntary. Like all healthcare settings that offer HIV testing, oral health care settings must notify patients prior to testing that an HIV test will be conducted and must document every HIV test in the patient’s dental record. Written consent is no longer required for HIV testing under most circumstances; written informed consent is still required when HIV testing is performed in state and local prisons or jails. The oral health care team can easily perform HIV tests as part of routine care. If an HIV screening test indicates a reactive result, the test is considered a preliminary positive result. Whenever there is a reactive result on an HIV screening test, regardless of whether it is an oral fluid test or blood test, the oral health care provider, or a representative of the provider, who performed the HIV screening must collect a blood specimen for diagnostic testing and submit the specimen to a certified laboratory for analysis. Finger stick blood specimens should be sent to the Wadsworth Center, NYS Public Health Laboratory, for analysis. For information about the Wadsworth Center, call (518) 474-4177. Oral health care providers must make an appointment for patients with a preliminary positive result to be seen, preferably within 48 hours, by a medical provider who has experience with HIV treatment [NY/NJ AETC]. Oral health care providers must ensure that the diagnostic test results are forwarded to the medical facility where the patient has been referred. Patients who express concern about their ability to afford HIV care may obtain information about financial assistance by visiting NYSDOH HIV Uninsured Care Programs Summary. The New York State Department of Health provides resources to promote HIV testing as part of routine healthcare. One such resource, Testing Toolkit: Resources to Support Routine HIV Testing for Adults and Teens, presents information about the healthcare settings and healthcare professionals who are affected by the law. 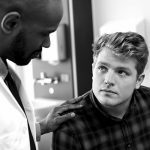 A broad range of topics is covered, including confidentiality, informed consent, communicating in a language that the patient can understand, key points that patients must be provided before HIV testing is performed, and follow-up for patients with confirmed positive test results. Additional online HIV testing resources are provided below. Confidentiality laws regarding testing extend to physicians, physician assistants, oral health care providers, nurses, and other healthcare professionals. Oral health care clinics that provide HIV testing are subject to the same requirements as all healthcare settings and personnel who perform HIV testing. HIV testing must be conducted in accordance with applicable New York State public health laws and regulations. Information about the HIV testing Public Health Law, consent forms, and counseling can be found at NYSDOH HIV Testing. New York State Department of Health AIDS Institute’s Oral Health Regional Resource Center (NY/NJ AETC). HIV testing in the dental chair: Technical assistance manual. New York State Department of Health HIV Testing: Provides a “portal” to all AIDS Institute materials on HIV testing. Dental Resource Directory to Improve Access to Dental Care for People Living with HIV/AIDS: There are many dentists/dental clinics in NYS that provide care for free or at low cost. The Dental Resource Directory is provided to make it easier for people living with HIV/AIDS to find dental clinics in their area and receive dental care. NYSDOH AIDS Institute Provider Directory: Provides contact information for HIV care providers licensed to practice medicine in New York State. Providers in this directory are categorized by geographic region, and organized by adult, pediatric, and adolescent patient populations. NYSDOH/AIDS Institute’s Clinical Education Initiative (CEI): Offers clinically relevant education and training on HIV, HCV, STIs, PEP, and PrEP. Also available is the CEI Line (866-637-2342), which offers clinicians the opportunity to discuss clinical management issues and guidelines on these topics with experienced clinicians. Non-Clinical Provider Education and Training: Provides education and training on various HIV-related topics to a range of community providers. AIDS Institute HIV Patient Resources Directory: Provides a list of organizations funded by the New York State Department of Health AIDS Institute to provide HIV/AIDS services. This directory is arranged by region, with each organization listed under the region it serves and then by the type of service it provides. HIV Uninsured Care Programs: These four programs, established by the New York State Department of Health’s AIDS Institute, provide access to free health care (HIV Drugs, Primary Care, Home Care, and APIC) for New York State residents with HIV infection who are uninsured or underinsured.